Beer. Food. Golf. (oh, and YETIs!) 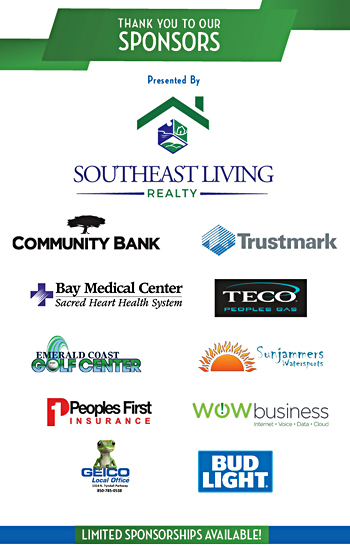 Join the Panama City Beach Chamber of Commerce on Friday, September 30, 2016, for its 7th Annual Golf Classic, presented by Southeast Living Realty. Taking place again at the beautiful Hombre Golf Club, this year’s tournament will feature all the great perks you’re used to, plus a few new, unforgettable additions! Sign-in begins at 10:00 AM, and a shotgun start will kick off the event at 11:00AM.